The latest UK chart results are in, and they bring reasonable news for Nintendo's two main entries in the top 40, reflecting a quiet spell for game sales but also early signs of hope for the company's current plucky, yet bizarre, 3DS title. 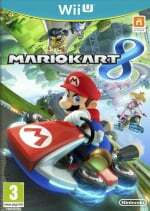 To start at the top end, Mario Kart 8, has sustained a strong run going into its third week; it's second in the single format chart, only behind Watch Dogs on PS4, while it has slipped to 4th in the all-format charts, with Wolfenstein: The New Order and 2014 FIFA World Cup Brazil sneaking ahead. Tomodachi Life, after a relatively modest début, has shown a little improvement. It remains in 15th place — as it was last week — in the all-format chart, though has climbed three places to 12th in the single format charts. 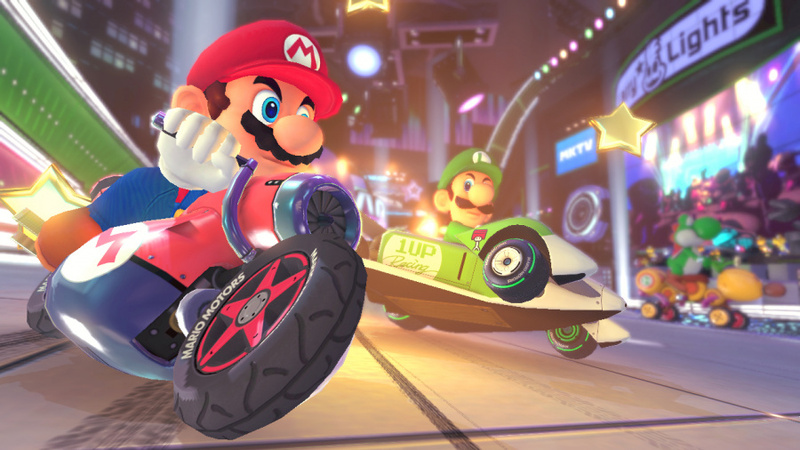 We're expecting NPD results today, too, which will reflect Mario Kart 8's first two days in the U.S. market, and we wouldn't be surprised in Nintendo takes the opportunity to issue an update. @ThomasBW84 "which will reflect Mario Kart 8's first two days in the U.S. market" Don't you mean first two weeks? Good to hear. I hope they can build on this momentum, although most of the upcoming big games are pretty far into the future. @ThomasBW84 Couldn't those numbers be derived? It was 1.2 million sold copies globally, and I think the numbers for Japan and Europe are out. Maybe not Europe. Glad to see Mario Kart is still strong in the charts! Hopefully it will survive another week on the charts. @hiptanaka Probably, but we'll see how it does in the top 10 (assuming it's in the top 10? ), plus Nintendo may give precise figures, percentages, number of eShop sales etc. Yeah when I first read Thomas's last paragraph I thought we already know those numbers. I now See he's hoping for some updated numbers from Nintendo themselves. I can see that happening. Wouldn't be surprised to see over 2 million in combined sales to this point. UK is always behind Germany and France in Nintendo sales, so I imagine its doing well there also. Maybe with all the good news we can see DLC incoming for Mario Kart 8? I don't know if I'm imagining it, but I swear we saw a breakdown of MK8 software sales by region during E3 and it was over 500k in North America which should put it comfortably in 2nd place. I saw estimates it sold 55k week 1 in the UK which would mean another 13k in week 2 based on it dropping 75%, and 9000 in week 3 based on a 36% drop. Almost 80,000 sold is pretty solid considering there's probably not much more than 200,000 Wii U owners. @ModestFan93 Desperately want DLC for MK8 now, getting kinda bored with it now and moving on to other games. A hint on some new tracks coming would be great! @Spoony_Tech I wouldn't be surprised either. I check Amazons best sellers list here in the US and Mario Kart has remained at or near the top. I'm guessing 3 million sold by the end of the month, worldwide. @readyletsgo I would love to see some DLC also, and happily pay for it to boot. Good news I guess! It must be shifting hardware in UK because there were only 40,000 units sold at launch and I doubt they averaged much more than a few hundred per week after that. It's the first Wii U game that anyone other than my niece and nephew have asked me about so Nintendo's marketing push must be doing something..
@shigulicious Oh yes yes yes! I wouldnt expect tracks for free at all. Maybe a character or two for free, but even still. Glad to see that Mario Kart has been doing good overall. I hope Nintendo can keep that momentum going into the holidays for Smash. My biggest concern is the lack of big releases from May MK8 up to Sept Hyrule Warriors. Sure we have some great indie games releasing in between but will it be enough to keep up the sales momentum? Should MK8 shoulder that? Or maybe it would be harder for other games to compete? Hard questions? I'll gladly pay for a few battle arenas and Coin Runners mode. Hey, I wouldn't even mind if they're mostly retro arenas. Anyone noticed in the picture that Luigi is death-staring at Mario? I guess he has finally had enough of being in the shadow of his brother and so he wants revenge. Excellent news about Mario Kart 8 doing extremely well in the UK, especially since it's a place where they mostly play shooters and Fifa games. @Spoony_Tech Assuming all regions follow the same drop in sales seen in UK and Japan and WW was 1.2 million week 1. UK and Japan were down about 75% week 2 which would put WW at 1.5 million, week 3 we only have UK to go by but that would be about 1.7 million. Depending on how much more sales slow I think it will be a few months until 2 million is reached. @JosieC84 Mario even looks a bit flustered by it, too. I think a decent number of people were waiting for either Mario Kart, or a show of confidence and long term viability from the Wii U platform before jumping in after it's terrible first year. I don't know if the momentum will "save" the Wii U (god I hate that expression)...but I think Nintendo has an opportunity to capitalize on it now. Don't want to sound like a entitled blob, but seriously Nintendo where is the DLC for battle mode?!!?!!?!? The maps we have for that mode is a joke. I only care about consoles to be honest. Software sales are important but I want to know how many new Wii U's are in the world because I want to see back sales of SMW3D, DKTF, Pikmin 3 etc. How many new pre-orders can they take for SSBU now? I want to know all the info about console sales in worldwide and by region. Where can I find that out? wow skate 3 is 39th place it's great people still buy skate i hope they make skate 4. Wow mario kart 2nd in the uk i thort sales of wii u console where to good in the uk. Console sales most be great tobe in 2nd place. Seriously think the Wii U has a chance of outselling the Xbone in May's NPD. I know it's only two days, but I think we have enough evidence now that shows day 1 is where a huge portion of sales come. MK8 probably sold more in those 2 days of May than it will in June if Japan and UK are anything to go by, while on the other hand, MS announced early in May that their machine would be available for $100 less in June. If that's not a sure way to make sure everyone holds off for month, I don't know what is. How does the WC affect sales? I couldn't find the answer to that statement within the article. Was it just a joke? Considering my chronic state of sleep-deprivation, any help here would be appreciated.